Few players in the world have the ability to pick a pass like Lionel Messi. What sets him apart, though, is his constant ability to set his team mates up to score. He has been the La Liga top assist provider in 4 different seasons already, and the Argentinean is once again leading the charts in assists in the whole of Europe so far this season. Messi has 12 assists from 25 appearances in the League, which is the most in all top 5 leagues in Europe this season so far. The only player who comes close to the Argentinean is Chelsea's Eden Hazard, who has assisted 11 goals from 28 appearances in the Premier League. 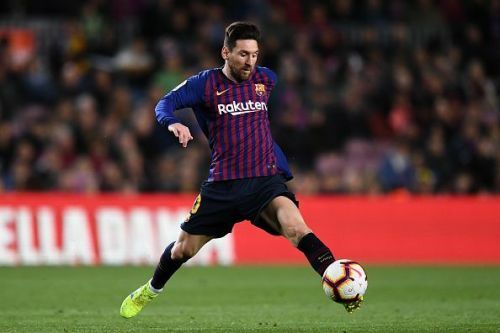 The Argentinean also has 1 assist in the Champions League, 3 in the Copa Del Rey and 1 in Supercopa, which means that Messi has already registered 17 assists from 35 games in all competitions this season. Once again, no player in Europe has come close to replicating those numbers. Is there any argument against Lionel Messi being the best player in the world at the moment? Lionel Messi vs Cristiano Ronaldo: Who is having the better season? Is Lionel Messi even human?